Phrygian Chords are a great chord substitute to have in your vocabulary. It can be used in reharmonizing songs for arrangements or as something to throw in there in solos and comping. 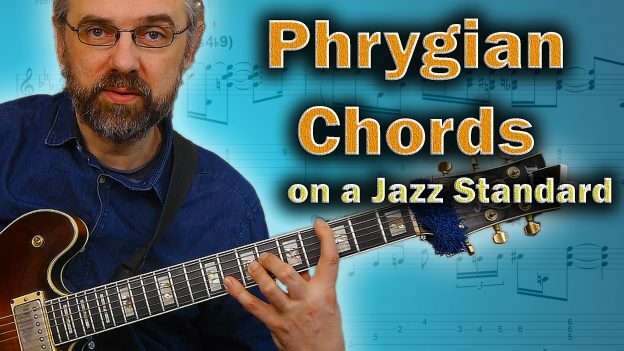 In this video, I talk about some of the places where you can apply a phrygian chord. Some more “out” than others. I demonstrate this using a chord melody of the song “I fall in love too easily” which I then harmonized using a lot of Phrygian, or Dom7thsus4(b9) chords. I use the arrangement of the song but also talk about applying this type of chord substitution or reharmonization on Stella By Starlight and Night And Day. 10:47 What is the melody actually? 15:24 Like the video? Check out my Patreon Page. A huge expansion of your vocabulary happens once you learn to improvise not only with the notes of the chord but also with the chords in the progression. This video lesson demonstrates and discusses that. This entry was posted in Blog, News and tagged guitar, how to play guitar, jazz guitar, Jens Larsen, music theory, phrygian chord progression, phrygian chords, phrygian chords guitar, phrygian dominant, phrygian mode, phrygian scale, reharmonization, reharmonization chords, reharmonization guitar, reharmonization jazz guitar on January 28, 2019 by jens. The minor II V I can be a difficult chord progression to play on and have a varied vocabulary on. 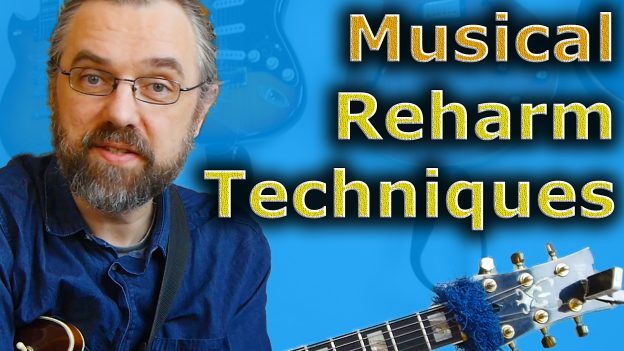 In this video I am going to go over how you can approach it in several different ways with Phrygian Chords, Melodic minor and Tritone Substitutions. 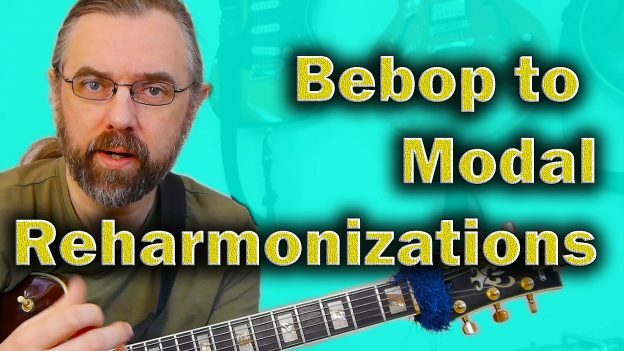 In the video I will demonstrate the different Minor II V I approaches and talk about how to use them both in terms of comping, voicing choices et and also soloing and arpeggios. I also talk a bit about what will fit with the melody of a piece. 5:54 How does it fit the melody? 8:56 When does it fit the melody? 9:57 The bonus Blue note! 20:43 Do you have a great reharmonization or scale choice for a minor II V I? 21:26 Like the videos? Support me on Patreon! This entry was posted in Blog and tagged 2 5 1, chord progression, chord progressions, chord substitution, guitar, II V I, ii--v--i progression, jazz chord progressions, jazz guitar, jazz theory, Jens Larsen, locrian #2, locrian natural 2, melodic minor, minor, minor 2 5 1, minor 251 progression, Minor II V I, minor II V I arpeggio, minor II V I scales, phrygian, phrygian chords, Phrygian sound, reharmonization, reharmonization guitar, reharmonization techniques, Theory, tritone II V, tritone substitution on October 9, 2017 by jens.